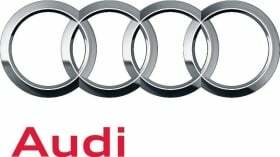 TOKYO/BEIJING (Bloomberg) -- Audi has asked a Chinese dealer to remove a banner advocating the murder of Japanese people after a photograph of the sign went viral on the Internet amid escalating tensions between the two countries. The anti-Japan message captured in the photo of the unidentified dealership doesn't reflect Audi's views, said Lu Minjie, a spokeswoman at FAW-Volkswagen Automotive Co., the venture that makes Audi-brand cars in China. Audi, which counts China as its biggest market, asked its dealers to be reasonable in expressing patriotism, she said. The photo, spread via China's Twitter-like Sina Weibo service, showed 14 people -- half of them women -- posing in front of an Audi dealership under a red banner that read "Japanese must all be killed." Tension between Asia's two largest economies escalated in the past week as thousands protested in Chinese cities against the Japanese government's purchase of the disputed islands, known as Diaoyu in China and Senkaku in Japan. "It's okay for them to protest against Japan, but they can't be talking about killing people," said Shaun Rein, managing director of China Market Research in Shanghai. "Most people would be surprised and disappointed in Audi if they didn't take a very strong stance." In the undated photo, dealership employees smiled at the camera with their fists up in the air as two men dressed in dark suits hoisted a banner stretching across more than 20 feet (6 meters) that read: "Japanese must all be killed even if it means China is covered in graves. Diaoyu must be reclaimed even if China becomes barren land." Audi immediately contacted its Chinese joint-venture partner after the photo appeared Sept. 17, said Andrea Seltmann, an Audi spokeswoman based in Ingolstadt, Germany. The Chinese partner then told dealers to refrain from such activities, she said. "For us it was important to make sure that these activities do not involve Audi employees," she said. "The dealers are independent though, but the banner was removed and we had no other similar issues since then." On Audi's Japan Web site, the company expressed regret for the incident. "As a company, we should not take positions in political issues," the Volkswagen unit said in a Sept. 18 statement on the Japan Web site. "We sincerely regret such kind of behavior happened, and feel indignant toward this behavior." No apology was visible on the German automaker's China Web site as of today. "We have asked dealers to be rational and show restraint," said Lu, based in the northeastern Chinese city of Changchun, and in charge of Audi media relations for the joint venture. "It's an isolated incident." Isolated or not, Kenji Fukudome, CEO of Tokyo-based Brand Core, which advises Japanese companies on entering China, said he's outraged even though the incident appeared to him to have only been a marketing stunt. "From the Chinese marketing point of view, the banner is meant to relay that 'Audi is on your side. If you have a Japanese car, change it to Audi,'" Fukudome said. "When Japanese people hear about cases like this, it discourages businesses from entering China." The photo illustrates the wave of anti-Japan sentiment spreading across China, with some angry mobs attacking dealerships selling Japanese brands and trashing Japanese cars in the streets. Nissan Motor Co., Toyota Motor Corp. and Honda Motor Co. temporarily suspended production in the country at some plants. Surging China sales have helped Audi double deliveries in the last 10 years, and the luxury brand now accounts for 47 percent of group operating profit. The protests in China center around a decades-long dispute over a group of islands in the east China Sea. Tokyo Governor Shintaro Ishihara reignited the row in April when he said he may use public funds to buy the islands. In Tokyo, carmakers expressed shock over images of violence toward Japanese products. "It was unbearable to watch," Akio Toyoda, president of Toyota and chairman of the Japan Automobile Manufacturers Association, said Thursday in a briefing in Tokyo. "Seeing cars damaged like that, for me, it felt like my body was receiving the blows." Japanese auto sales in China will be hurt next month as a result of the tensions, he said, without giving an estimate on the damage from the protests. China's Passenger Car Association predicts Japanese brands will lose their lead over German nameplates in the country for the first time since 2005.